I have THOUSANDS of pictures from ceremonies I have performed for my amazing couples. 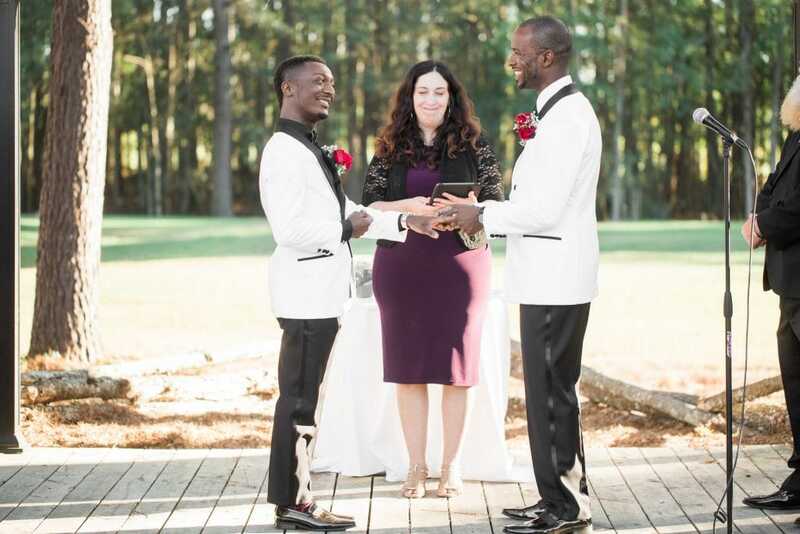 Scrolling through these pictures of people in love will bring you to your happy place! Ceremony photos are organized by popular location. The final gallery is comprised of couple and family photos from our Ceremony + Photography packages. Click through the picture to see each of the galleries! 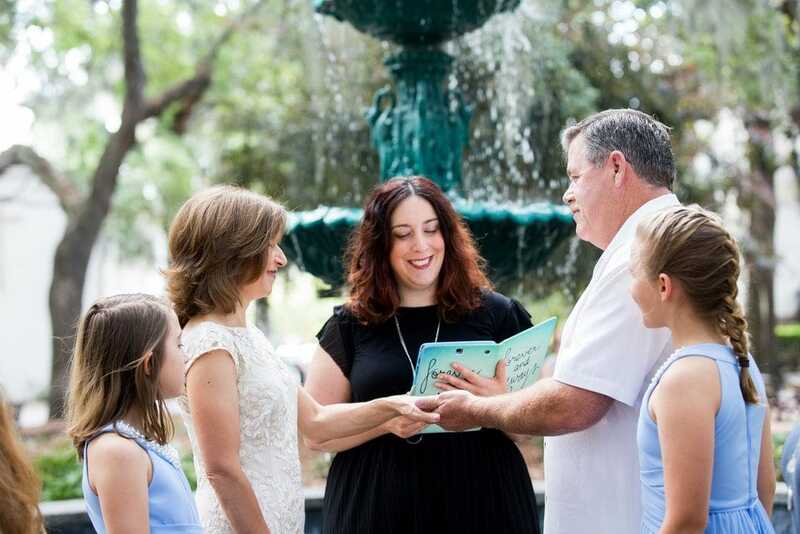 Forsyth Park is the most popular location that couples choose for their wedding ceremony, by far. The fountain is iconic and the park features the Fragrance Garden as well as the sweeping Spanish moss throughout the park. Lafayette, Orleans, and Columbia squares all have gorgeous fountains for your ceremony, each with a distinct look and feel. Whitefield Square and Troup Square are located within sight of each other on Habersham Street. Whitefield Square features a classic gazebo and Troup Square has an armillary sphere in the middle of a recessed circle. Pulaski Square and Chatham, both on Barnard Street, are full of gorgeous trees. I’ve performed ceremonies from Daffin Park in midtown all the way North to River Street! Each of these has some really good reason to choose it as your ceremony location. 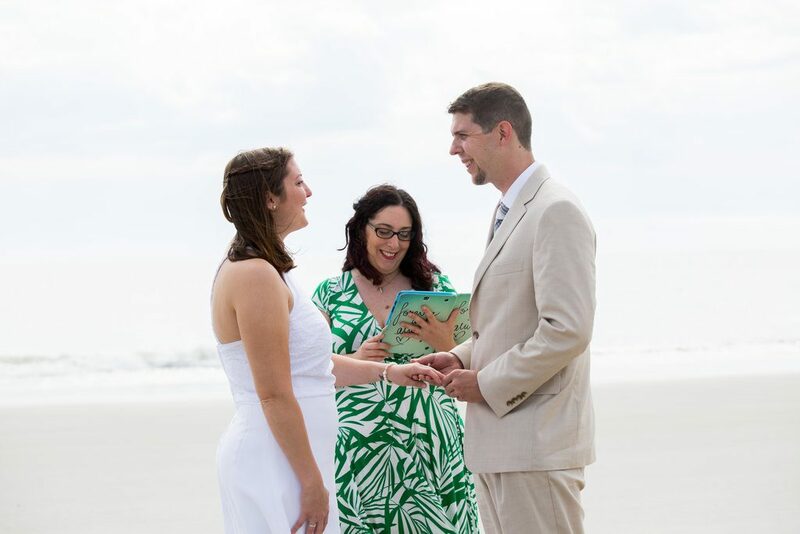 Tybee Island, Bonaventure Cemetery and the Wormsloe Historic Site are all about 30 minutes from the downtown and provide scenic backgrounds for any ceremony. 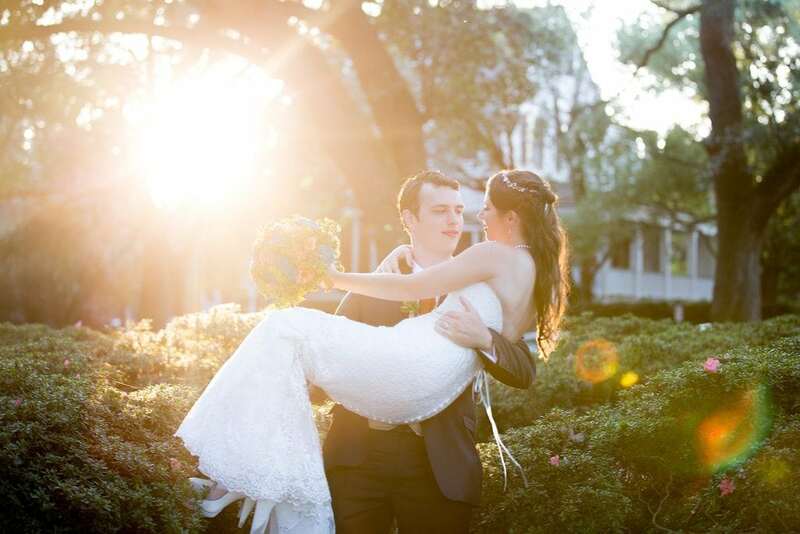 Our weather makes sunset elopements possible almost year round! 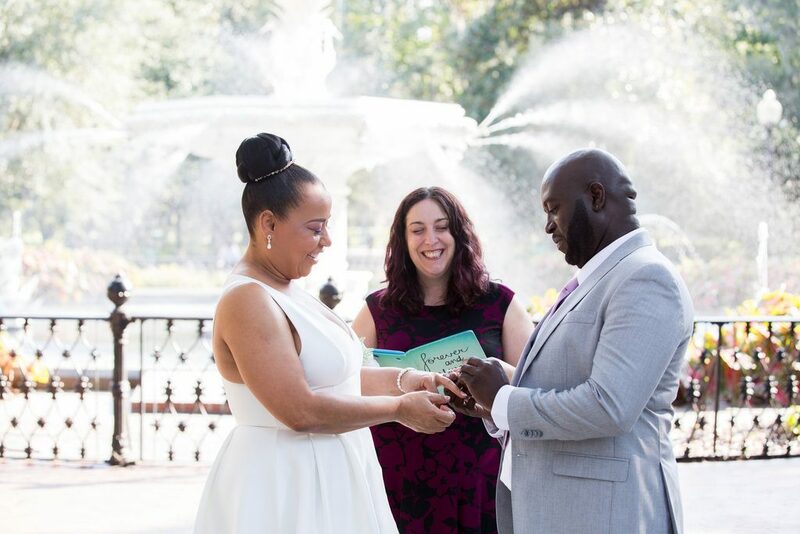 And of course, Savannah has tons of hotels, historic homes and related venues for your indoor or courtyard wedding ceremony, whether you have 5 or 200+ guests. 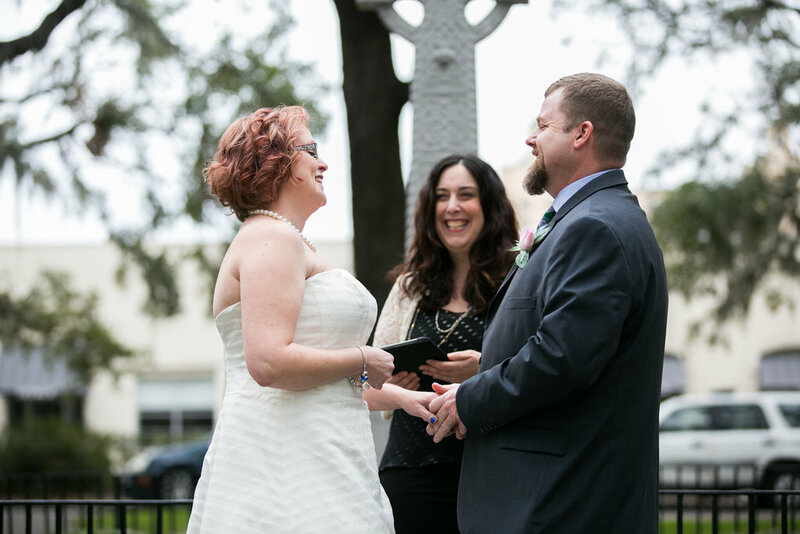 We have 300ish photos to show off of our couples enjoying Savannah through one of our Ceremony + Photography elopement or intimate wedding packages. Ready to book your package with us? 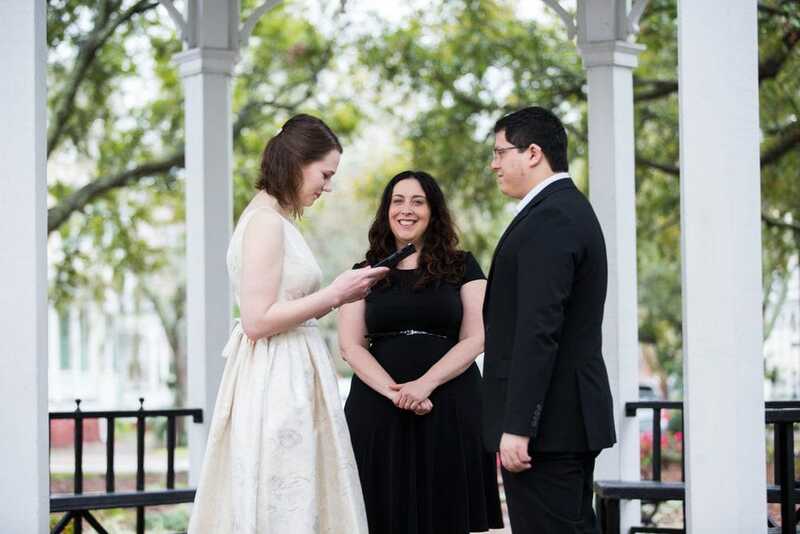 Fill out the form at the end of our Ceremony Package page!